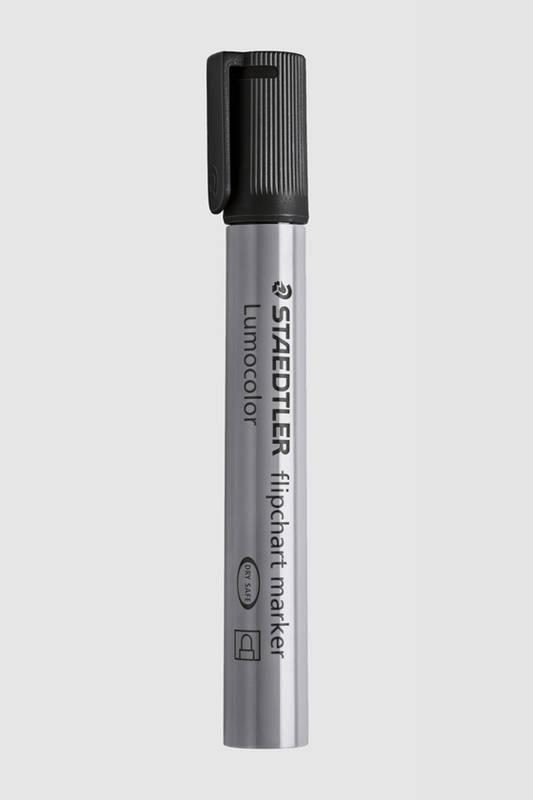 Put your ideas on paper - using the Lumocolor flip chart markers from Staedtler. Strong colors without the ink penetrating into the next sheet. The color-intensive pens are ideal for writing on flip-chart pads. They have a 2mm line width, are refillable, and dry within seconds thus making them also suitable for left-handed users. The low-odor ink is water-based and can be washed out of many textiles. The DRY SAFE system means that they can be left open for days without drying. 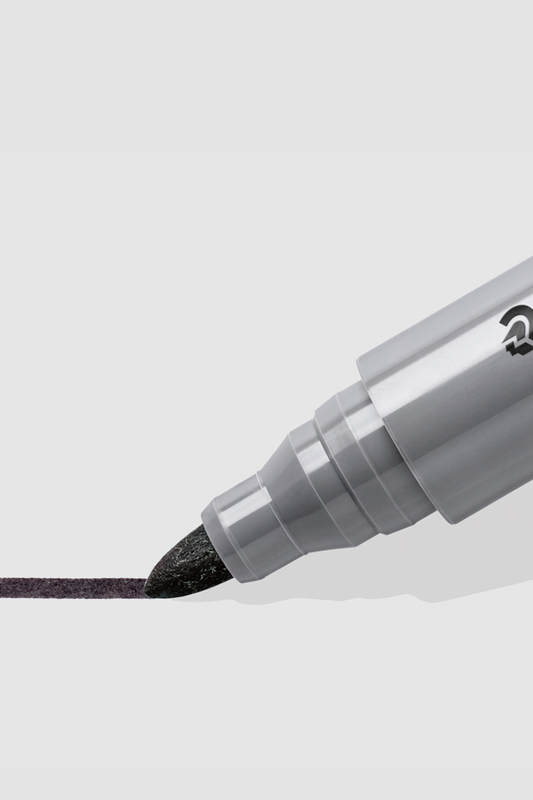 The blocked tip keeps it from being pressed into the shank, even under very strong writing pressure. In addition, the Airplane Safe system keeps the pen from leaking on the aircraft through automatic pressure compensation. The shank and cap are made of PP, which guarantees you a long service life.